Forget the Super Bowl or seemingly every episode of Game of Thrones. The biggest appointment television event of the year is Shark Week. It’s when the Discovery Channel gives us a full week of sharks swimming, attacking, feeding, and generally sharking up our televisions. It’s like a week of Sharknado crossed with reality. In its 30 years, Shark Week has become a bit of a cultural phenomenon, drawing nearly 5 million viewers for last year’s Phelps vs. Shark spectacle. It has spawned watch parties, special cocktails, and menu items at restaurants, all designed around nature programming. So what else does a cultural phenomenon do three decades after it’s introduced? Get its own cruise, of course. This summer, Princess Cruises is launching not just a Shark Week Cruise, but an entire Summer of Shark, wherein several of its ships will be themed for Discovery’s Shark Week. If you’re the sort of shark aficionado who likes to quote Jaws, well, here’s that bigger boat you needed. So what's going on onboard the Shark Week Cruise? There won’t be autograph sessions and meet-and-greets with the stars of shark week; fins make that kinda tough. There also won’t be any live performances by any sharks, but that’s probably a good thing. What you will get is advanced screening of this year’s Shark Week programming, which airs the week of July 24. Meaning you can totally spoil the ending for all your friends back home, or at least tease video of it on your Insta story to make everyone jealous. And if you miss Shark Week on land, it’ll be showing all summer long at sea aboard these ships. Restaurants, elevators, and casino tables will all be done up in Shark Week regalia, so you can double down on top of a great white or enjoy your fourth plate of chicken vindaloo over the face of a hammerhead. This kids’ areas will have all sorts of shark-related activities, including crafts programs with shark teeth jewelry and clay shark models. Kiddo’s going to look fierce AF with her face painted up to look like a mako. For grown-ups, there’ll be shark-themed specialty cocktails like with names like Shark Attack Margarita and Great Blue Shark. Which depending on how many you have may do more damage than any encounter with an actual shark. Which ships will be done up for Shark Week? 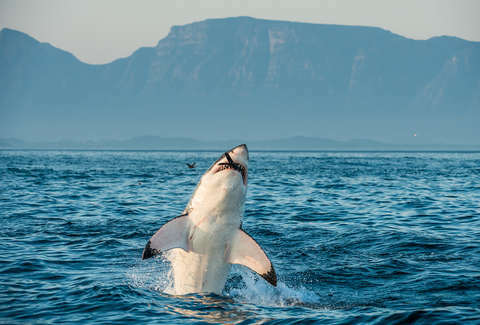 The Summer of Shark is going from June to September aboard the Caribbean Princess, where eastern and western Caribbean itineraries will all be Shark Week cruises. Those seven-day voyages leave roundtrip out of Fort Lauderdale and start at $549. If you’d like to see Alaska with a Shark Week theme, seven of Princess’ Alaska ships boast Shark Week cruises in mid-July. The Grand Princess voyage from July 15-25 sails roundtrip from San Francisco starting at $1,198. The rest begin between July 18-21 and finish between the 25-28 from Seattle or Vancouver, and start at around $600. Not to be left out, UK cruisers can also jump aboard the Shark Week cruise. 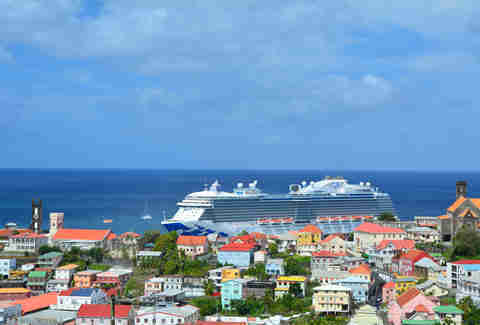 The Sapphire Princess voyages from July 7-21, and July 21-August 8 are Shark Two-Week cruises. Those Baltic Heritage itineraries go east through Scandinavia to St. Petersburg, Russia and back to Southampton. They’re currently sold out, but stay tuned in case of cancellations. Even if you missed Phelps vs. Shark last year you can get more than the full Shark Week experience in 2018 aboard the Shark Week cruise. Though you might not encounter any actual sharks, you’ll be much safer and far more relaxed watching them from the comfort of your stateroom while sipping a Shark Attack Margarita. It won’t bite. 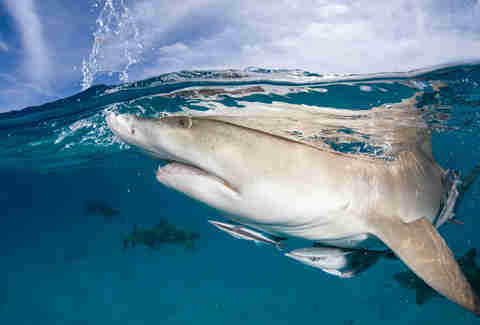 Matt Meltzer is a contributing writer to Thrillist who’s never seen a minute of Shark Week. Follow him on Instagram @meltrez1.